Apple’s WWDC keynote confirmed for June 11, 10 a.m.
With its biggest developer event just weeks away, Apple is nailing down a few final details. As is tradition, WWDC will open with a keynote event, on Monday, June 11 at 10 a.m. PT. There’s no confirmation of who the speaker will be, but if Apple follows tradition we can assume it will be CEO Tim Cook. Though Cook has never headlined a WWDC keynote — it had always been Steve Jobs, with the exception of SVP of Worldwide Marketing Phil Schiller in 2009 when Jobs was on medical leave — Cook has been the company’s chief spokesman since taking over as CEO last August. 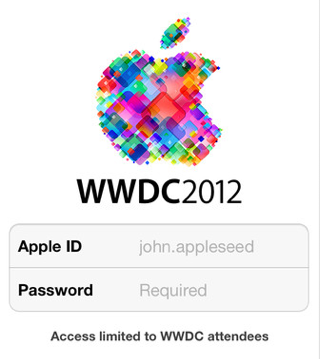 The entire schedule for the conference was posted Tuesday morning for registered attendees on Apple’s developer website. There’s also an app that attendees can download to better navigate the schedule and plan sessions they want to attend. Though it’s a developer-oriented conference, Apple likes to use the opening keynote as a platform to announce a variety of new products. From 2007 to 2010 it served as the coming out party for the company’s latest iPhone. Last year Apple introduced iCloud for the first time at the same event. What Apple is doing differently this year is that they did not send any official invitations to the keynote event. Not doing so deprives the tech world of intense analysis of the wording and images of said invitation, which may be the intention. In any case, we expect to hear a lot more about iCloud at this year’s event, as well as possibly get a preview of iOS 6 and a look at OS X Mountain Lion, which is slated for release this summer. GigaOM will be live blogging the event, so be sure to join us on June 11 at 10 a.m. PT.